The FUN Girl's Night Out in Phoenix & Tucson! Looking for a fun idea for a ladies night out? Spend your evening at Carnival of Illusion to celebrate and have a blast with your gal pals! 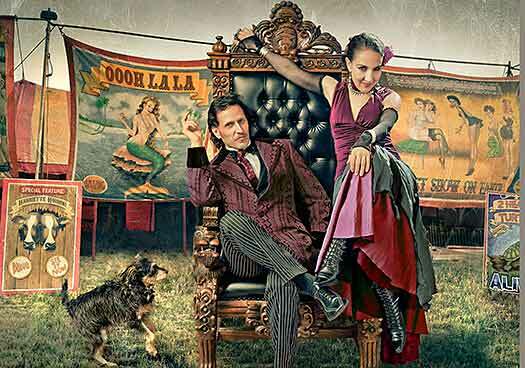 Carnival of Illusion offers an exciting and intimate Vaudeville-inspired evening of old world magic. 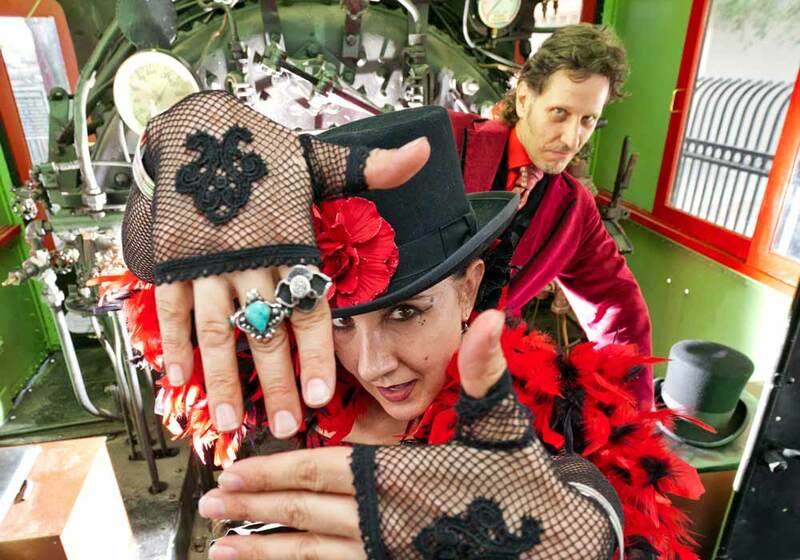 Presented by the national award-winning entertainers Roland Sarlot and Susan Eyed, Carnival of Illusion will create an amazing ladies night out that will leave you with great memories to share with your friends. Get your tickets now! Carnival of Illusion is the perfect choice for a girl's night out with your posse. Why is that? Well for one thing it is fun, unique and up-close and personal. And if someone in your group is celebrating a special occasion, we always give a shout out to that special gal, so whether it is your best buddie's birthday or maybe your own, we will be sure to recognize it is a special day. In Tucson you can add dinner to the mix and take advantage of a special dinner offer, given by the downtown favorite Cafe A La C'Art. They have put together a wonderful dining option that includes a main course, salad, dessert and a non-alocoholic beverage with tip and tax included. Choose from three great entree options, including one for vegetarians. Their covered patio is a particular favorite. This offer is only for Carnival of Illusion attendees. In today's world of bachelorette parties and Chippendale dancers, it is hard to imagine a time when women never left the house. If you were lucky enough to have a big family, your sisters, aunts and cousins would be your best buddies. Those with a bit more money got to go to the occasional ball. Even going out shopping just wasn't done. After all, where would a respectable lady go to the bathroom if such a need arose. Public bathrooms were not common until after the Victorian age. The roaring 20s saw the age of jazz and the freeing of women in public places. A dance hall or speakeasy was a place you could go to be free of the previous centuries constraints. Once World War II was over, women had sealed their independance, as many women had to do the work of men. In fact in Great Britain it was actually compulsory for women of a certain age to either work or join the armed forces. So grab your friends, make a plan and have a great night out... do it for all the ladies that never could! Thank you so much for a truly wonderful evening. It is an amazing show. My daughter will remember this experience forever. What a great time the four of us had last night. The show is wonderful and non-invasive. Now I see what you mean when you told us in that you donâ€™t maliciously pick on the audience and when their participation is required you make them feel most comfortable. Thank you all, for renewing our faith in truly enjoyable, exciting entertainment.